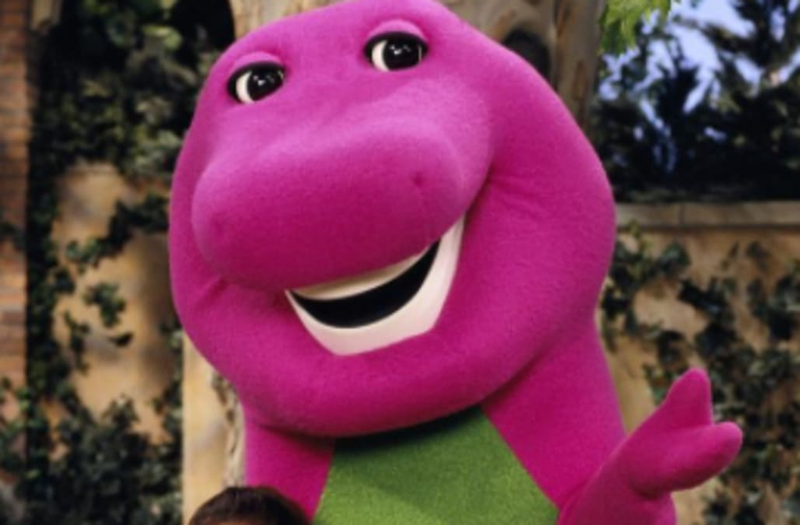 Most kids grew up watching Barney the Dinosaur on TV, never knowing who brought the vibrant character to life. After living inside the giant purple costume for 10 years, fans of all ages are finally meeting David Joyner, who played Barney both on TV and in live performances. Joyner spoke about his time as the bubbly dinosaur in an interview with Business Insider. The children's show, which starred now-pop stars Selena Gomez and Demi Lovato, first premiered in April 1992 with Joyner in the suit. Before becoming the children's show icon, he worked for Texas Instruments as a software analyst, commenting that he was "a live mannequin" in malls and would "move mechanically." Of the purple suit, Joyner says, "Barney is about 70 pounds, and it can get over 120 degrees inside. It's a T-Rex, so you're basically just up to your elbows in being able to move." He adds that to cool down during breaks, he would "put a fan in the mouth and sit down on an Apple box." "The head doesn't come off. The head doesn't swivel," he says, "I can only see a certain amount, because of the peripheral of Barney's mouth. And when Barney's mouth is closed, I can't see anything at all." To practice walking and dancing with limited vision, he would walk around his apartment blind, trying to "feel the energy" of his surroundings. He also felt deeply connected to Bob West, who voiced the character, saying that, "We used to do something called 'dinosync'. As I have my headphones on, I can literally hear him taking his breath. As he's about to speak, I'm almost inside of him, knowing exactly what he's about to say." On the iconic "I Love You" closing song, Joyner reminisces of the love he felt on set, saying that "it's a beautiful thing to know how that song has impacted pretty much this next generation." The song was featured on Volume 1 Barney's Favorites, which landed at No. 9 the Billboard 200 albums chart in 1993. Joyner concludes the video saying wistfully, "Barney was beautiful. Barney was very, very good to me. I loved being Barney. I loved everything about being Barney. But that chapter is gone."